Who Stole the Gluten-Free Cookie from the Cookie Jar? I know. This post has been a long time comin'. But I was doing a review on cookies! And unless I wanted to destroy all the hard work my personal trainer has me do on a weekly basis, I had to take this task slow. In all honesty, I'm not even that big on cookies. I'd much rather have a brownie, some cheesecake or an ice cream sundae. But, after receiving a ton of gluten-free cookie samples at my local Gluten-Free Friends meeting and a few packages for my birthday, I decided to delve into it. I can't say I've ever had even a regular snickerdoodle so this one was hard to judge. Free of the 8 common allergens, this cookies was not only moist, rich and flavorful.....it was amazing. And did I mention free of the 8 common allergens? NO: wheat, dairy, peanuts, tree nuts, egg, soy, fish or shellfish. How'd they even make this cookie?! I don't know if it tasted like a real snickerdoodle or not, but I was impressed. Gluten and dairy free, baked with fair trade organic ingredients, Liz Lovley's coconut-lemon macaroon cookies pack an interesting punch. They are so rich (they came in a package of two and I couldn't even finish one), coconutty (yes I know that's not a word) and doughy it almost tastes as if they weren't even baked....yet they're strangely addictive and tasty. I can't describe it any better than that. You're just going to have to try them. 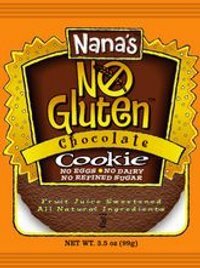 Nana's Gluten-Free Cookie Bars and Cookies come in delectable flavors like Berry Vanilla, Nana Banana, Chocolate Munch, Ginger and Lemon. What I do like about Nana's: the variety and goodness of the flavors, they're moist. What I don't like: they crumble and fall apart like many gluten-free cookies do, they're very cakey like many gluten-free cookies are. 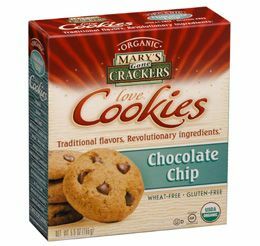 Hard crunchy gluten-free cookies like Chip's Ahoy?! Is it really possible? Mary's Gone Crackers does cookies RIGHT! The chocolate chip cookies could use a few more chocolate chips, but the ginger snaps were soooo super snappy! And the flavor profile of both was excellent. Certified Vegan. Free of gluten, dairy and refined sugars. Made with organic, alternative, nutrient rich flours and sweetened with organic coconut palm sugar. 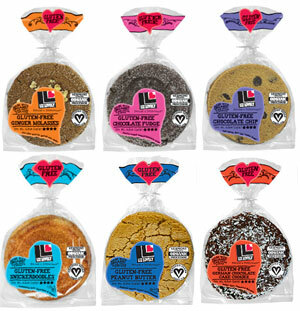 Purely Elizabeth was developed by a holistic nutrition counselor with a love of baked goods. 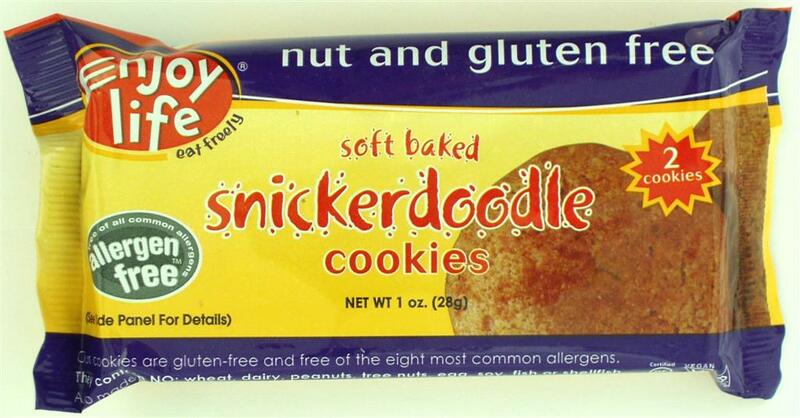 Loaded with health benefits and free of all the bad stuff, Purely Elizabeth is a gluten-free cookie bakers dream. You only have to add three ingredients to the mix! When I tried the chocolate chip cookies, I had not baked them myself. I could tell the flavor had potential, but all I could taste was baking soda with every crumbly bite. As baking soda is not one of the three ingredients the baker at home has to add, I found myself wondering was it the baker's fault or the mix? 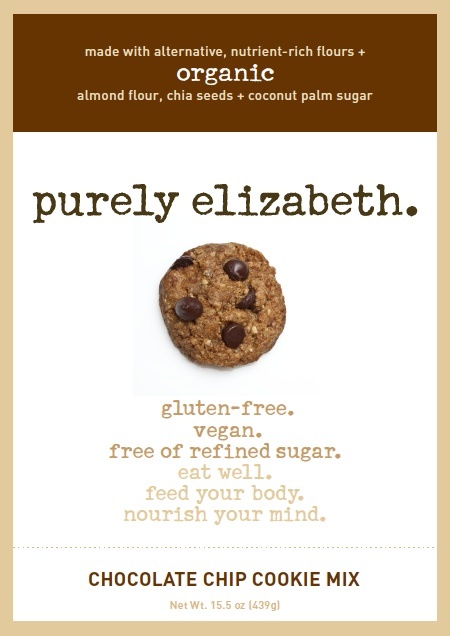 With so many healthy ingredients and so little everything else, I think I'll give Purely Elizabeth another try the next time I have a cookie craving. This time I'll bake them myself. Kinnikinnick K-Toos Chocolate Vanilla Sandwich Cookies - just okay. Mi-Del Chocolate Sandwich Cookies - almost broke my teeth when I bit into one, they were so hard. Glutino Chocolate Vanilla Creme Cookies - delicious and dunks well, the closest I've gotten, but still no Oreo. Now, the terrible wannabe Oreo cookie that Mi-Del put out really surprised me. 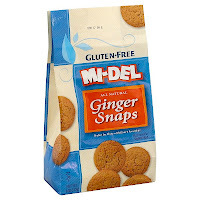 Mi-Del's chocolate chip cookie was my very first gluten-free cookie experience and I remember very clearly how surprised I was that 1.) my (at that time) boyfriend's sister had been thoughtful enough to bring gluten-free cookies, and only gluten-free cookies, on our ski trip 2.) they tasted like a real chocolate chip cookie and 3.) they were delicious! In fact, Mi-Del's chocolate chip cookies remain a favorite of mine to this day. 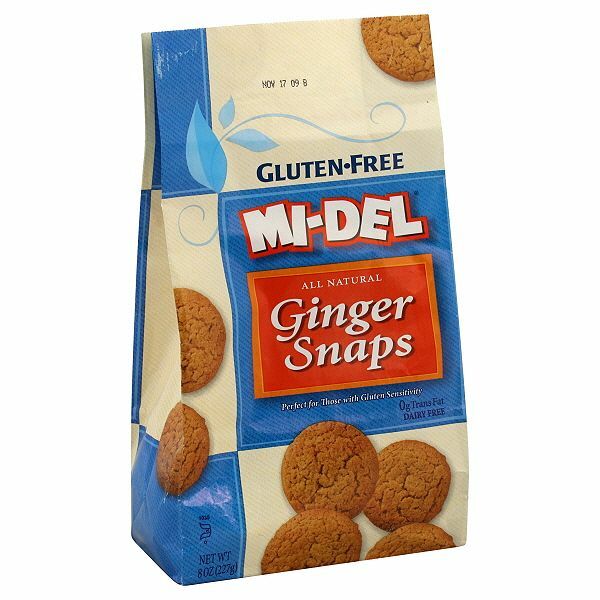 I also love their ginger snap cookies, although they're not quite as snappy as Mary's Gone Crackers' version. 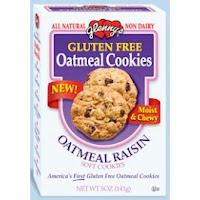 Glenny's Oatmeal Raisin and Oatmeal Chocolate Chip Cookies - Not only gluten-free, but also dairy free, the oatmeal raisin cookies (not normally my favorite cookie flavor) were to die for. Soft chewy texture and lots of spice, I thought these were better than the glutenous version my mom (sorry Mom) made when I was a kid. The AWESOME Oatmeal Chocolate Chip Cookies (my all time favorite cookie flavor) were better than Pillsbury (sorry doughboy). 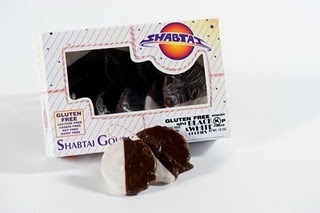 Shabatai Gourmet's Black & White Cookie - Produced in a gluten-free bakery that specializes in gluten-free, lactose free, soy free, cassein free, peanut and dairy free cookies and cakes, these phenomenal Black & White Cookies take the Cookie (get it? instead of take the cake?....nevermind) I don't know how to describe them other than perfectly amazing. I couldn't stop eating them. 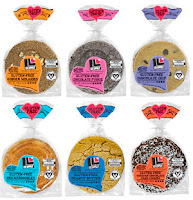 This company also makes a Florentine Lace Cookie (I love lace cookies!) but I have not gotten to try them yet. I will be ordering them promptly.